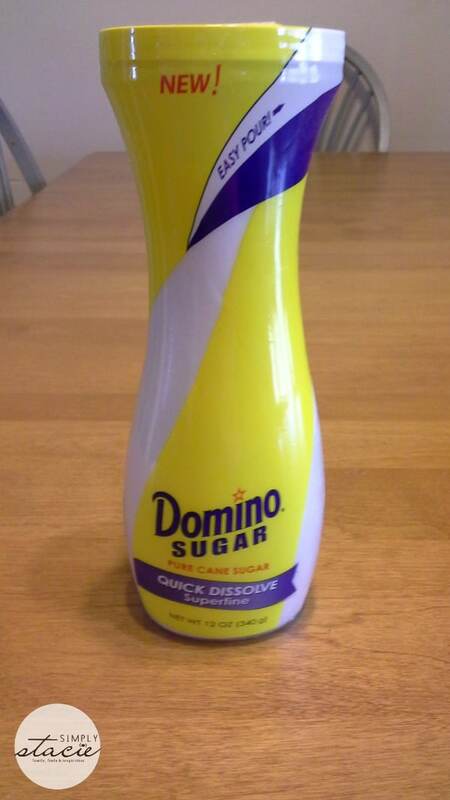 Have you seen the new Domino® and C&H® Sugars Flip-Top Canisters? These great new additions to the Dominio® Sugar and C&G® Sugar brands have just been launched nationwide in the U.S. and features an hourglass shaped canister that pours sugar easily. No more worries about clumpy, hardened sugar because these new canisters are designed to allow free-flowing sugar that is free and mess-free. I love any product that is going to make mornings flow easier in our household and these canisters work just as designed. The Pourable Brown Sugar flows out perfectly from the handy flip-top and we use it to lightly sweeten our oatmeal or to dip plump strawberries as an extra treat. My kids love for me to make a quick snack for them in the afternoon by simply slicing up an apple, sprinkling a tiny bit of brown sugar along with cinnamon and nutmeg and then heating it in the microwave for one minute. There are two varieties of flip-top sugar containers currently available including the Domino Pourable Light Brown Sugar for those of us on the east coast and C&H Pourable Golden Brown Sugar on the west coast. I love the quick dissolving superfine sugar which is also available in a new flip-top canister. The superfine sugar dissolves almost immediately making it perfect for both hot and cold drinks. My husband enjoys a spoonful in his iced tea and I enjoy a tiny bit in my coffee each morning. We will definitely take this along with us on our upcoming camping trips because the canister is easy to transport with the flip-top lid closure and I like that the sugar dissolves so easily. I have personally found that the new Domino® and C&H® Sugars Flip-Top Canister are very convenient to have in my kitchen and I love the new design. You are invited to visit the Domino® and C&H® Sugars website to learn more about these two new products and check out the helpful baking tips, recipes, baker’s circle and more. Connect with Domino® Sugar on Facebook, Twitter and Pinterest. Connect with C&H® Sugars on Facebook, Twitter and Pinterest. This would be awesome to have for cold drinks, and I love the shape of the bottle it’s nice enough to leave out, if I can find this around my area I am going to get me some, thanks for sharing!! A great design, love the look of this container and if it means that brown sugar flows and doesn’t get lumpy then it can only be a good thing. WOW! 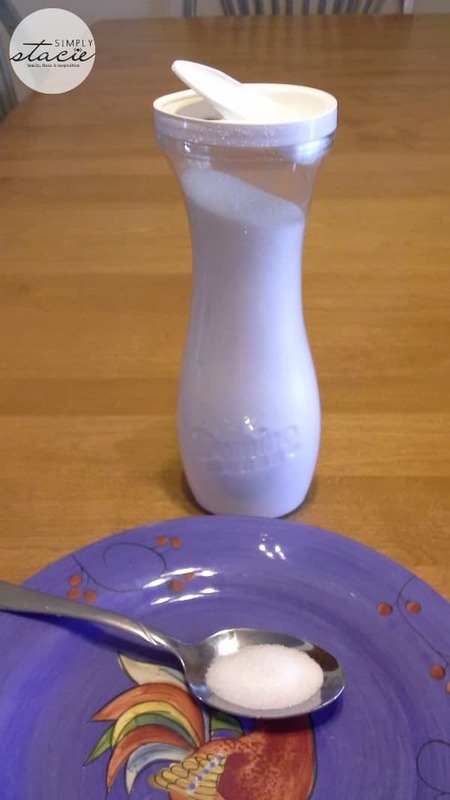 I really like the new pourable sugar containers. It does make easier pouring and not having to pick up a big bag to pour in sugar bowl. I can keep it in this container and it will keep fresh. I like the design of the canister – easy to hold. Also it can be set out with S & P on the table and looks nice with out the label on it. THIS IS GREAT. I WONDER THO ABOUT THE COST. FOR SOME ONE ON A TIGHT RETIREMENT BUDGET IT MIGHT BE VERY HARD TO AFFORD THESE IN ONLY 12OZ CONTAINERS. BUT THEY SOUND REALLY NICE. THANKS A BUNCH. Finally something you can use for coffee and tea besides a sugar bowl, I went to cubes and I would buy this for sure! How perfect for iced tea! These look so convenient to have around, so much easier than a sugar bowl. Love the flip top……I would not have to store in a separate container. That’s a very neat design!